People are hesitant to buy an elliptical machine due to its high price tags. If you search the internet for the best elliptical products, you will surely decide not to buy the device because of the price. This post will help you find a good quality product that does not cost that much. All your hesitations and doubts will be gone after reading this best elliptical under 500 for home use buying guide. These elliptical products will prove that not all the cost 500 and below are low-quality machines. Some offer great features, which provide excellent advantages like using it at home for an excellent workout. Before you purchase the device, check out the top elliptical machines that you will find on the market today and the pros and cons of each equipment. The Efitment Elliptical Machine provides the primary non-back-lit console that enables the users to track their workout data. It is essential that you save your daily output so you can compare your progress weekly or monthly. The machine offers eight magnetic resistances, moving and static handlebars, and good size pedals. The eight levels of magnetic resistance provide enough challenge to make you sweat. The adjustment is easy to reach as it is located within the arm’s reach. It has a compact budget elliptical that has non-backlit LCD. It means you cannot see the values in dark condition. Thru the LCD you can track your workout values like the distance, speed, heart rate, time, calories, and odometer. The data are displayed every few minutes. Three AAA batteries power the console. You don’t have to position the machine near a power outlet. The Efitment has an eleven-inch stride, and it does not have an incline. For its price, it is quite understandable if it does not have an adjustable stride and incline. This machine has both the static and the moving handlebars. The size and the shape of the moving handlebars allow the users of different sizes to do his upper body workout. The handlebars do not have the Pulse sensors, but the static hand-grips have. The static handlebars let you do your exercise on your body and your core. The JTX Stride has a flywheel that weighs 12.5kg that operates a pretty smooth ride. It has 21 workout programs and 16 levels of resistance that you can follow, like hill training. All the features you have been looking for a home machine are mostly present in this machine, although the 40cm stride is still short for taller users. It has a free Polar heart-rate chest strap which makes the machine very accurate. The manufacturer offers two-year home repair warranty, for the frame they provide a 5-year warranty. The touchscreen console is significant to make adjustments and programming easy. Offers a low impact, full-body workout. It has 16-inch stride and 12.5 kg flywheel. The machine operates smoothly and provides stable movement. If you have an uneven surface, it has adjustable floor pads. It has a quick start buttons and with 16 levels of magnetic resistance. You can save up to 4 workout programs. Pros: Durable, Noise free operation, Ergonomic design, Adjustable floor pads in case of uneven surfaces, 5-year warranty for the frame and 2-year for home-repair warranty like parts and labors. Complete features for cardio workout and burns fat easily. The Body Extreme Fitness is one the recommended elliptical trainer. It offers many features and options that are not present on other machines. If you can afford elliptical under 500, this is a good choice. The design is quite impressive. It has a hybrid style which means you can use it in various ways. The arm bars let you choose whether you want to use it as a Crossfit elliptical with a handle or tone your arms using armbars. The Body Extreme offers versatility by allowing you to use this advanced elliptical machine as a stationary bike. The machine offers two resistant bands the let you pull using your arms. Thus it provides both a balance and toning workout. It has two hand dumbbells in two pounds and three-pound weights. The display is very impressive. Although it is not lighted the screen is positioned at a distance that is easy to read. It has larger digits and has different LCD for each readout. You do not have to press a button to control the different gauges and get your workout information. This is one of the best trackers that provides a lot of information. The Commercial Mini Stairmaster has a frame made from cast aircraft high-grade aluminum alloy. The product is light and weighs around 14 lbs. For smaller spaces, this product is recommended as it only measures 20 x 13 x 3.5 inches. It is designed for the anaerobic HIT which has lots of benefits. The stride is large with the capacity weight at 400 lbs. but it can support up to 600 lbs. This is recommended for obese users and is rated for sprint training. The Xiser remains the best product for every level of training it does not matter what your purpose is. Pros: Very durable construction, much easier to move while working out, Rated for sprint training, Easy to assemble, Quiet hydraulic system, Offers infinite variable resistance, Carry up to 600 lbs. The Cubii Pro is recommended if you want to work out while working. The machine can be fitted under the desk. It is the best option since it lets you exercise as you respond to emails and do other work on your table. Although as compared to standard elliptical, you will not be able to get a lot of motion. The sad thing about this machine is that the charging function may degrade over time. The device is designed to be used in the modern offices. It has Bluetooth features and tablet or phone charging input. The Cubii has very ergonomic design, making it easy to use the whole day. The product is very convenient, with an innovative design that offers excellent workout metrics. It is recommended for those that work most of the time on their desk for many hours. Cons: Charging port is not durable, You need some legroom to use it. Any of the above elliptical machines is an excellent choice for the price under 500. For those who can afford to buy the most expensive equipment, then good for you. However, not all may have the features that you might need. Some cheaper elliptical trainer may possess better and more advanced features than that of the expensive product. The most important thing before buying the machine is to whether or not it provides the results that you are looking for. Among the five best elliptical under 500, we recommend the Body Extreme 4 in 1 as it has many features that you can take advantage from. 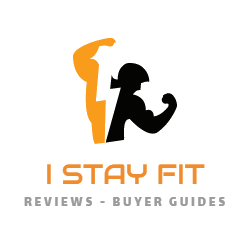 The products we have reviewed in this guide are all excellent options that will meet your lifestyle. You can get products that you can fold, stand on it, and place under the desk. Choose the one that is most convenient for you and the one you can afford. Never buy a product because of its color and appearance. Make sure that the features are complete, easy to assemble, easy to use, and will provide better results. Hope this guide can help you find the perfect machine for your workouts to keep you fit and healthy. This is so far the best article about ellipticals under 500. It was easy to choose the CUBII PRO ELLIPTICAL TRAINER. It looks cool, works great and the price is just worth it. Thanks for the informative review! Congrats on your new purchase! Let’s stay fit!